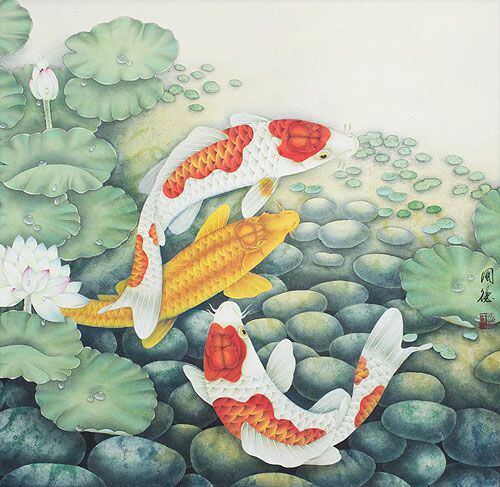 Artwork Panel: 64.3cm x 64.6cm ≈ 25¼" x 25½"
Silk/Brocade Border: 73.6cm x 73.5cm ≈ 29" x 29"
I fell in love with these koi fish when I saw a small stack of paintings at a little gallery where the artist was represented. They have a certain naïve quality, like a woodcut print or folk art. Though in other ways, they are a bit abstract. I can't put my finger on it, but they really caught my eye when I walked into that gallery in Guilin, China. It could have been the jet-lag, as I had been in 4 countries in the past 5 days. 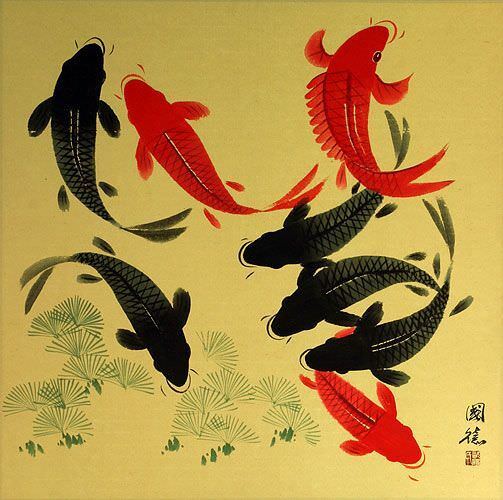 But even today, months later, I am still loving these koi fish. I ended up with 4 good ones, so perhaps 3 will be for sale eventually, and the 4th will go on my wall. 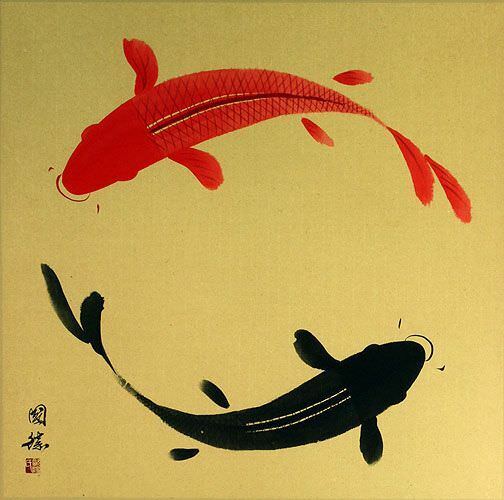 The Chinese title is 魚樂 which means "Fish [having] Fun." 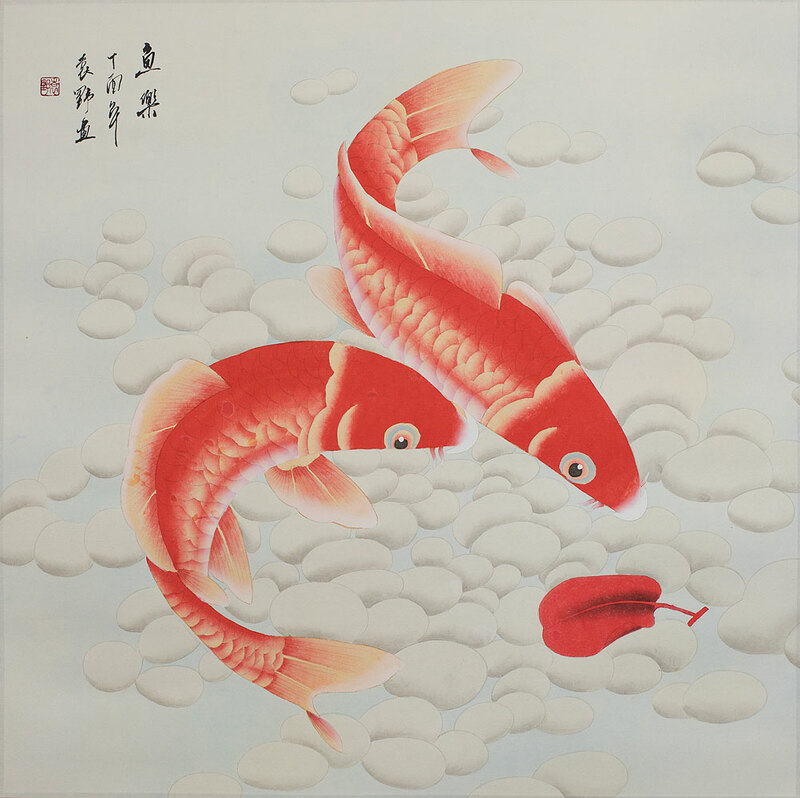 These colorful carp are associated strongly with both Japanese and Chinese cultures. 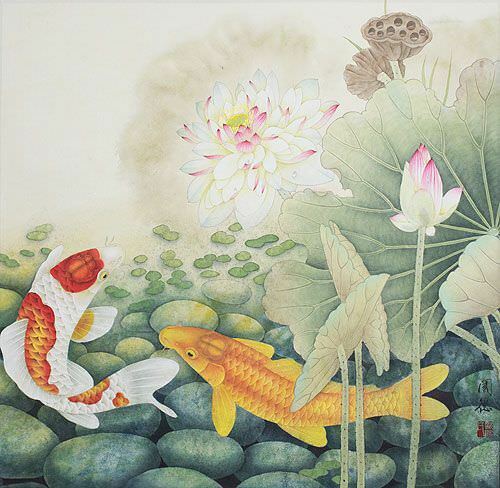 Beautiful garden parks in the cities around China are often graced with a pond full of these fish throughout the year. They are a very strong fish as they can be seen swimming slowly under thick sheets of ice in lakes during the brutal Winter of northern China. 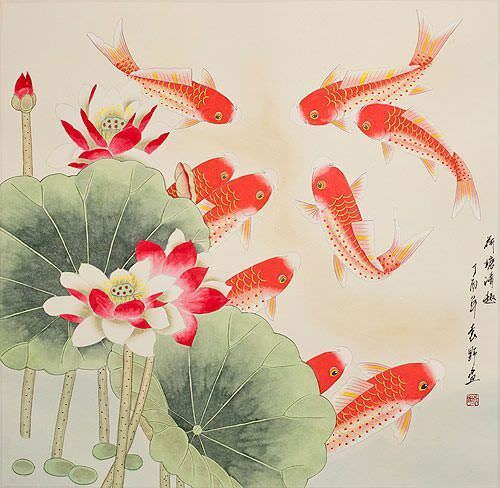 Materials used are special black and red-orange Chinese ink on a handmade xuan paper. The painting was then mounted with a copper-brown-colored silk brocade matting/border.